Mr. Satish Shah, Hon. 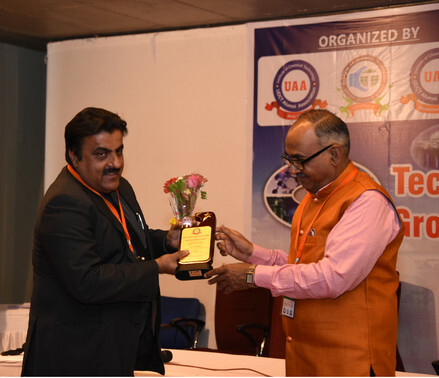 Treasurer, UAA – Ahmedabad Chapter (Right) presenting a memento to Dr. AV Prasad, Managing Director, Archroma India Pvt. Ltd.